The parents of a young British-Canadian man accused of being a member of ISIS have written an open letter to members of Parliament challenging what they claim are "lies" about their son being repeated by Conservative Leader Andrew Scheer. The letter was circulated Thursday by John Letts, the Canadian-born father of Jack Letts — known to the British news media as "Jihadi Jack." Jack Letts is one of several Canadians being held by Kurdish authorities in Syria following the collapse of the Islamic State last year. As CBC News , the Canadian government has been trying to negotiate his release from a prison where he is being held alongside hardened ISIS fighters. In the House of Commons this week, Scheer attacked the Liberal government for helping Letts and considering his appeal to come to this country. "British terrorist Jihadi Jack, a U.K. citizen, who may or may not have ever set foot in Canada, reportedly received help from a government representative," the Conservative leader said, leading off question period on Tuesday. "The Liberals proactively reached out to him to help him come to Canada. Why?" In his letter to MPs, John Letts pushed back against Scheer's comments, saying he believes his son is innocent and pointing out that Canada and the U.K. have not laid charges against him. "I am writing to you because I have to do something to challenge the misinformation that has appeared in the Canadian media recently — lies repeated and exaggerated by Mr. Andrew Scheer," reads a copy of the letter, obtained by CBC News. "Mr. Scheer confidently claimed that Jack is 'a known jihadi fighter' — a blatant lie that he knows is untrue. Simply repeating a lie four times does not make it true." The younger Letts, a Muslim convert who grew up in Oxford, went to Syria in 2014. His parents say he wanted to come home in late 2015 and their attempt to transfer him money ran afoul of Britain's anti-terror financing law. They were charged under that law in 2016; they maintain their innocence, but the case is still pending. John Letts and his wife Sally Lane insist the allegations against their son Jack are false and that he has the right to answer any charges against him in a British or Canadian court. "If Mr. Scheer has any evidence that our son is a 'known jihadi fighter' he has a duty to report this information to the Canadian and British authorities," Letts wrote. "No such evidence has ever been passed to us, or to our lawyers in the U.K."
A spokesman for Scheer said the Conservatives have seen the letter and stand by their earlier statements. "It is understandable that parents want to give their children the benefit of the doubt, however, news reports of Jack Letts' activities in Syria paint a very different picture and indeed indicate that he joined ISIS," said Brock Harrison, the communications director for the opposition leader, in an email. Harrison added reports show the "Trudeau government is making efforts to reach out to a widely reported British terrorist to try and bring him to Canada without any assurances that he will face justice." Speaking in Toronto Thursday, Scheer said the case is not simply one of a gullible young man getting into a little trouble with the law. "We're talking about a situation in Syria where the most heinous atrocities have been committed against ethnic minorities, against people of different faiths. 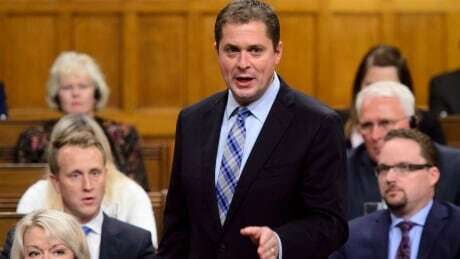 And to have someone go and join and engage in that type of [conduct], that's not someone being caught up in something, that's somebody that has to answer for what they've done," Scheer told CBC News. Public Safety Minister Ralph Goodale said earlier this week any suspected ISIS fighters will have to face Canadian justice if they return here. In his letter, Letts claims the family has evidence about his son's activities in Syria — information that would exonerate him — that they wanted to present to Canadian security officials last spring. He and his lawyer, Clive Stafford-Smith, tried for a meeting with the RCMP and the Canadian Security Intelligence Service, but were rebuffed. "They were unwilling to meet us and were not interested in our information — we think because they knew Jack was not a member of ISIS and just another naïve young person who went to Syria hoping to help create a peaceful, utopian, Muslim state," Letts wrote. He said he shares "the disgust of my fellow Canadians" over the atrocities committed by ISIS, especially those involving people who betrayed their homelands. That is a reference to the case of Canadian ISIS fighter Muhammad Ali, who went by the name Abu Turaab Al-Kanadi. Global News has reported that at least three Canadians who allegedly travelled to Syria to join ISIS, and are now imprisoned by the Kurds, are asking to return home. Their three spouses and seven children are also detained. Letts said he will be in Ottawa next week to talk about his son's case.